Every year, it happens. I’m nicely settled in to the routines of summer, and boom, just like that, it’s August, and the Back-to-School Crunch begins. This year I’m staging a full-on protest. My primary weapon in this protest is denial, coupled with a healthy dose of over-scheduling fun and entertaining things to do. Lucky for me, Deer Valley is here to aid and abet, offering a packed schedule of activities, extending well past the start of school (August 20 in Park City, for those of you keeping score at home). And lucky for you, I can offer you a curated list of the best antidotes to those back to school blues. There are still two awesome Guided Historic Hikes left in the season, September 20 and October 18. You can meet up at the bottom of Sterling Express (wear sturdy shoes and bring your own snacks and water, but leave your favorite four-legged friend behind please) for a fun, informative lesson on area history with Michael O’Malley. In August alone, there are 4 concerts on the schedule, including the Gypsy Kings performing as part of the Big Stars, Bright Nights Concert Series. And with acts like the Crescent Superband on the bill for the Grand Valley Bank Community Concert Series (free every Wednesday), it’s hard not to find an excuse to get your boogie on. But it’s the month of September that gets the credit for helping locals and visitors beat the Back-to-School Blues. A Labor Day weekend outing to Deer Valley can include watching mountain bikers race by Silver Lake Lodge as they participate in the Park City Point to Point Race, heading toward the Mid-Mountain Trail between 9 – 10 a.m. Combine this with a hike and scenic lift ride, followed by a great lunch at the Royal Street Café, and you’ve had a fun, jam packed morning. Plus on September 6, Aloe Blacc performs as part of the Big Stars, Bright Nights Concert Series. September 12 is another jam-packed day at Deer Valley. For starters, the Mid-Mountain Marathon departs from Silver Lake Village, with runners doing a couple of laps before they head out onto the trail. 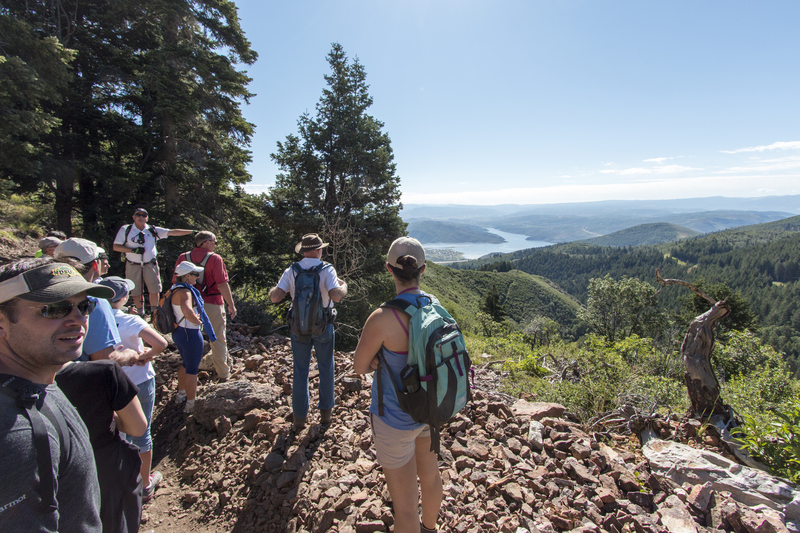 In the afternoon you can join The Christian Center of Park City’s 4th Annual Hike For Hunger. The Snow Park area will be transformed into a family entertainment area, with a bounce house and a climbing wall. “This year we are incorporating rides on the Silver Lake Express chairlift,” says Cindy Skelton, Senior Events Coordinator, “and there are trails that are appropriate for every level of hiker, some for families with small kids, and some for those looking for a bigger challenge.” Registration fees even include a meal prepared by Deer Valley chefs. If by mid-September you’re already wishing you could run away from it all, you’re in luck at least for one day as the Discrete Peak Race Series hosts its final run of the season at Deer Valley Resort. Okay, so maybe it’s not so much running away, as it is running up but by the time you race from Snow Park Lodge to the top of Bald Mountain, you probably won’t remember why you were so stressed out in the first place. See? I told you I could fix those Back-to-School Blues. 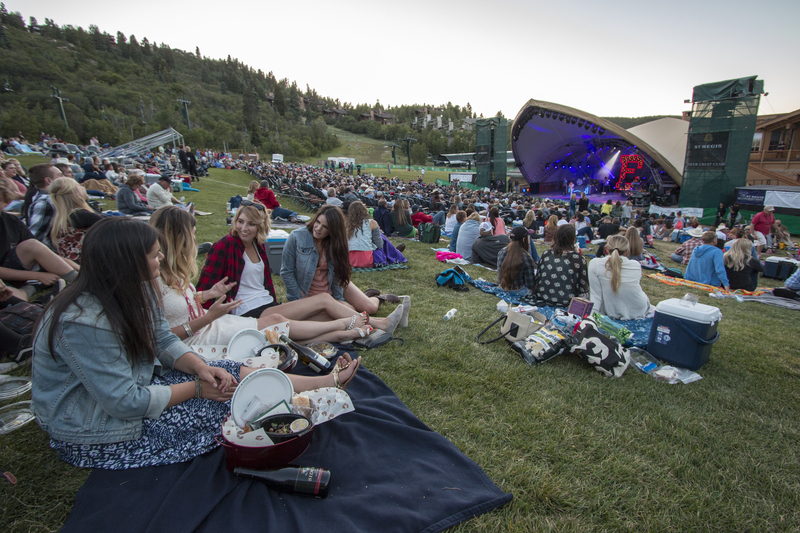 What’s your favorite late summer pleasure at Deer Valley? Tell me all about it in the comments.